ROANOKE, Va., April 22, 2015—Meridium, Inc., a global leader in asset performance management (APM) software and services, today introduced an enhanced mechanical integrity (MI) solution as part of version 4.0 of Meridium Enterprise APM®. New to the Meridium APM MI solution are comprehensive risk based inspection (RBI) assessments based on the latest API 580/581 v3 specifications and ASME B31.8s and API 1160-based Pipeline Integrity Management capabilities. Meridium’s APM Mechanical Integrity for Pipelines solution enhances the core APM Mechanical Integrity capabilities (RBI, Inspection Management, and Thickness Monitoring) for linear assets. 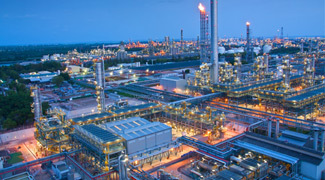 This enhanced functionality covers onshore pipeline systems that transport gasoline and other hazardous liquids, enabling users to manage fixed, rotating, and linear assets within a single solution. By improving the mechanical integrity and availability of industrial equipment, asset intensive companies can achieve and maintain increased uptime and asset availability resulting in greater profitability and reduced risk as a means to achieving operational excellence. Integrated asset maintenance and inspection programs act as insurance policies that help guarantee efficient, safe and reliable operations while processing on-spec products without fear of mechanical failure or production disruption.